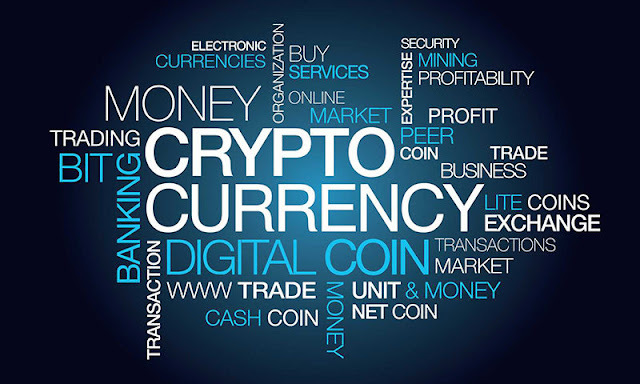 The Basics of Cryptocurrency, Cryptocurrencies use decentralised technology to let users make secure payments and store money without the need to use their name or go through a bank. They run on a distributed public ledger called blockchain, which is a record of all transactions updated and held by currency holders. 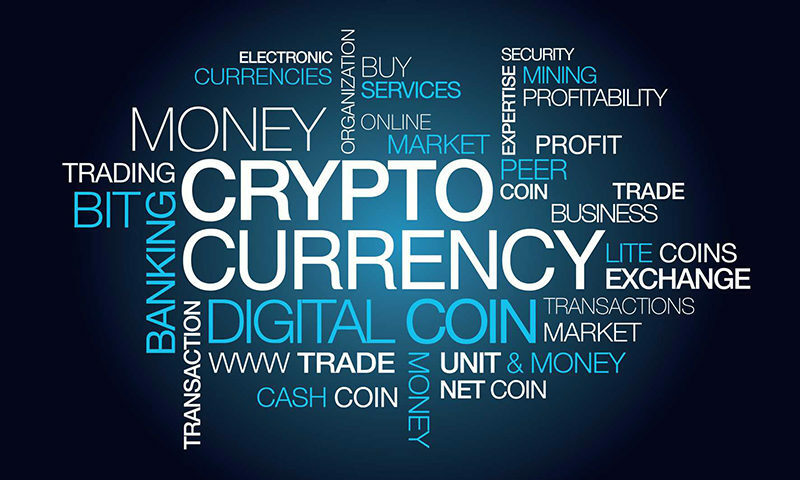 When using cryptocurrency as a medium of exchange, instead of using a single key for both encryption and decryption, separate encryption keys are used for both. A user generates a pair of keys that are mathematically linked to each other. One key (the public key) is used for encryption and the other (the private key) is used for decryption. The public key is shared (used as a wallet for payment) where anyone with this address can send encrypted information (bits of data, bitcoin) to another party. Once encrypted, the information can only be decrypted with the corresponding private key. the transfer of decision making power, assignment of accountability and responsibility for results. It is accompanied by delegation of commensurate authority to individuals or units at all levels of an organization (bitcoin protocol). Cryptocurrencies are a standard, or a protocol just like http, IP, or the internet – they aren’t wholly owned by any individuals. It’s a network centric system that operates by simple mathematical rules that everyone who participates on the network agrees upon. Through this simple mechanism and invention, they operate within a decentralized network of computers to agree on what transactions occurred. a model whose components are located on a network of computers. These computers communicate and coordinate their actions by passing messages along to one another. This is the system by which nodes are governed. software that can be freely used, changed, and shared (in modified or unmodified form) by anyone. Open source software is made by many people, and distributed under licenses that comply with the Open Source Definition. Cryptocurrencies are typically open-source. This means developers can create API’s (application program interface) without paying a fee and anyone can use or join the network. an instance of buying or selling something; a business deal. When you send Bitcoin, a single data structure (Bitcoin transaction) is created by your wallet client using an encrypted electronic signature. It is then broadcasted to the network via a public ledger to provide mathematical proof that the transaction actually occurred. Bitcoin nodes on the network will relay and rebroadcast the transaction, and if the transaction is valid, nodes will include it in the block they are mining. originally block chain – is a distributed database that is used to maintain a continuously growing list of records, called blocks in which transactions made in bitcoin or another cryptocurrency are recorded chronologically and publicly. The public ledger consistently grows as ‘completed’ blocks are added to it with a new set of recordings. The blocks are added to the blockchain in a linear, chronological order. Each node (computer connected to the Bitcoin network using a client that performs the task of validating and relying transactions) gets a copy of the blockchain, which gets downloaded automatically upon joining the Bitcoin network. The blockchain has complete information about addresses and their balances right from the genesis block to the most recently completed block. a point of intersection/connection within a network. A node is simply a computer that is participating in the global Bitcoin network by speaking a protocol, ‘the Bitcoin’ protocol, that allows these intersections on the network to communicate with each other. What they do is essentially propagate transactions and blocks. Nodes that are participate on Bitcoin serve the most important purpose; every one of them acts as an authoritative, verifier of every single transaction and block. This type of node is more precisely referred to as a fully validating node. The node takes the transaction data, and independently verifies every aspect of that transaction. It authoritatively reconciles it with its own copy of the ledger to determine whether the funds have been double spent. If you send a node a transaction that is incorrect, it will not only reject the transaction, it will stop talking to you. A node that tries to propagate incorrect information is quickly isolated, the nodes it attempts to communicate with will ban and disconnect from it. The most important concept to recognize and take away from this is the nodes on the network don’t trust each other. Miners receive the transactions that nodes decided were valid, and they give back blocks at the pleasure of the nodes that will decide if they are worthy of being propagated because they are valid. The validity of the consensus rules is not determined by miners, they sequence transactions into a block. The validity of the consensus rules is determined by nodes, because they will not propagate lies. is the process by which transactions are verified and added to the public ledger, known as the blockchain – it is also the means through which new bitcoin are released. Anyone with access to the internet and suitable hardware can participate in mining. The mining process involves compiling recent transactions into blocks and trying to solve a computationally difficult puzzle. The computer (or cloud of computers) who first solves the puzzle gets to place the next block on the blockchain and claim the reward for solving this math problem and providing this critical function to the system. The reward (new bitcoin) incentivize mining; both the transaction fees associated with the transactions complied in the blocks as well as newly released bitcoin. The amount of new bitcoin released with each mined block is called the block reward. The block reward is halved every 210,000 blocks or roughly every 4 years. The difficulty of mining adjusts itself with the aim of keeping the rate of block discovery constant. Thus, if more computational power is employed in mining, then the difficulty will adjust upwards making mining harder over time. These 8 concepts represent the backbone of the cryptocurrency ecosystem.